← Adjusting your Sails Through the Eyes of a Runner. 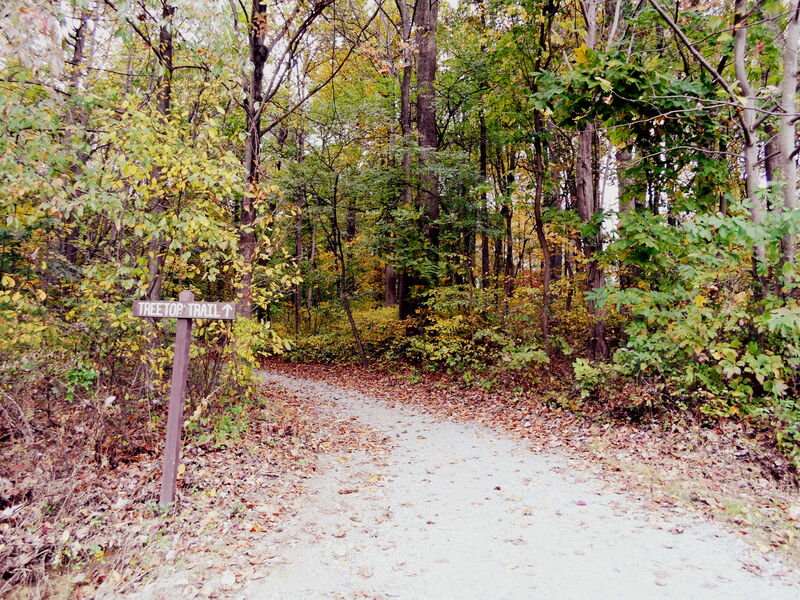 Fridays and Fall Days Through the Eyes of a Runner. Fridays have quickly become my favorite day of the week! My Fridays tend to look like waking up early to do my devotional, get some work done and eat breakfast before class at 9am. It’s so nice those first two hours of my day that I can just be as lazy or as productive as I want before my day truly begins. Then it’s off to class for two hours (that’s all!!). Today I was a volunteer for a great program called Dollar Diva with one of my clubs Wharton Women. It was great to meet high school girls and get them excited for college and presenting themselves professionally! Then my personal favorite time of all my Fridays: my LSR. For those of you non runners out there that is a Long Slow Run. They are AMAZING in fall! It’s so nice to just put on my sneakers and begin pounding the ground as I reach further and further each week. As the pavement flies below me it’s as if the world could be going as fast as a speeding bullet or as low as a crawl around me at the same time! It is such a cool feeling that first mile, for some reason I always tend to sprint it, but it’s wonderful as you run away any stress of the week! Then as the next 10 come into fruition it commences the battle with your mind. Yes, all runners do this, even if you do absolutely love running or partially love running like me, you start the countdown til the run is over. If you’re like me, it’s started way too early. The counting isn’t too bad on shorter days when you are doing 5 miles and you are at 2.5 and start the downward count. But when you are doing 11 miles and at mile 6 start the downward count, it seems a lot tougher. So the game I’ve found is go through every other thing I can think of before doing the downward count. Today I went through all the possible sports in the world, and a lot of my childhood. But hey. This is EXACTLY why I love running. It gives you time to think and explore life, love, and the city all in those 2 hours you set aside to run it! After my runs, stretching, and showering it’s time to face the rest of the day, often with group prayer time and then facing the night that is Friday at Penn! It’s different every week. Tonight will be so much fun though! I’m going to a 1930’s themed dinner party and then a dance party until the wee hours which will be awesome! So moral of that story Fridays are awesome! On to my next topic! Fall is Here! Well actually with temperatures the past two days I’m thinking we may have skipped fall and jumped straight into winter! 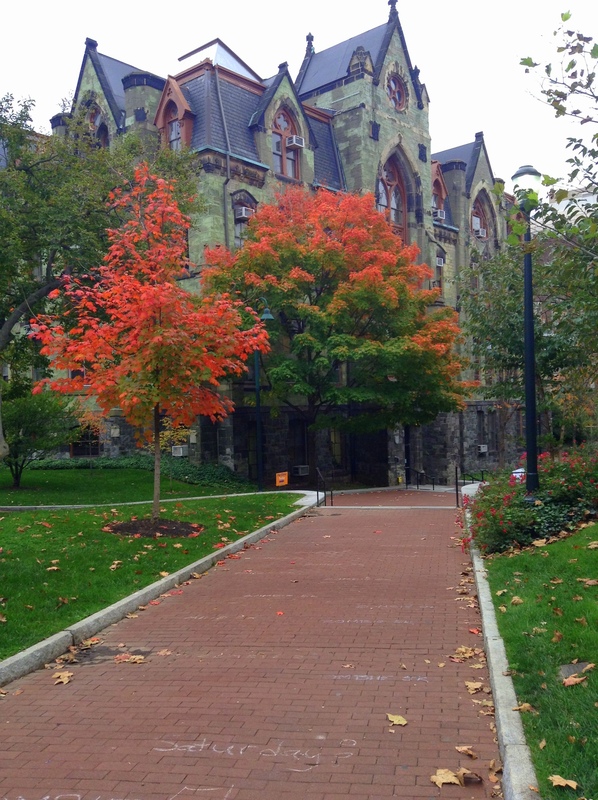 Nevertheless fall has reached Philly, Penn, and Pennsylvania! It started for me officially last Friday when I was able to get away from campus with my Christian Group Penn and Philly Cru for Fall Retreat. Oh my gosh, I can’t say enough about spending alone quiet time with God and time with other believers who are open to discussing anything spiritual or just about life in general. God really opened my eyes this past weekend and gave me a lot to think about in the rest of this semester! I LOVE Fall Retreat!!!! But now we are back on campus, well into sweater weather, and watching all the leaves change and drop! Go out and jump in a leaf pile this weekend! I’m Melanie. This space serves as a personal collection of happy moments, fun runs, deep thoughts, exciting travels, and the simple joys of life. I love Jesus, coffee, sunshine, weddings, travel, organization, laughter, babies, and hugs. Come run alongside me, joining me in the journey as I seek love and a better understanding of this life I have been blessed with.